It’s a no-brainer that your drivers should have accurate driving directions from one place to another in order to reach their destinations on time. But, you cannot guarantee accuracy unless the source of the information is reliable enough. So, using pen and paper and guesswork will not help much and you instead need to use tools, such as route optimization software, Google Maps, and Waze. You can even rely on old-school methods, such as calling someone at the location and asking for assistance. But, how reliable is the driving directions from one place to the next given by each method? And, which method gives the best directions? We do a quick analysis to check this out. Google Maps is the most used tool across the world for driving directions. It gives driving directions from one place to another and shows you real-time traffic information, distance to destination, estimated time of arrival, and turn-by-turn directions (even during the offline mode). It even offers you the ability to share your real-time location with others. Also, Google Maps can now show you the nearest charging station if you run electric vehicles. So, it is a perfect tool if your drivers need to go from Point A to Point B. However, Google Maps is more apt for personal use than for commercial purposes. So, if you need to plan multiple routes for multiple drivers, then Google Maps for route optimization is not recommended. This is because it lacks many crucial features which you need to run a field service business that requires employees to drive around and arrive at certain locations at certain times throughout the day. For example, Google Maps cannot predict what traffic will look like the next, the day after or in the near future in a given area. You can also not set up the service time per stop and Google Maps cannot even help you identify the left or U-turns that your drivers need to avoid. Most importantly, Google Maps simply guides your drivers to the customers in the same order in which you have entered the addresses. This means that it will not give you the shortest and most optimal path for reaching all those addresses. Long story short, Google Maps is only ideal if you have one driver who needs to visit fewer than 10 addresses or destinations per day and only need driving directions from one point to another. Waze is another popular mapping tool used by several businesses to find driving directions from one place to another. It is a community-driven app and uses data from its users to offer quicker navigation routes. Users can manually enter the data into the app or the data can be submitted automatically as the users drive around. This helps you get all the details about speed traps, traffic congestion, accidents, road closures, alternative routes, and so on that could slow down your field reps or drivers. In fact, even Google Maps will soon roll out the speed trap and accident reporting feature, according to 9to5Google. Also, the Waze app keeps collecting information constantly and adapts quickly to ensure the fastest route possible. The best part is that Waze notifies multiple times whenever you come close to your next turn. And, if there is traffic reported, it will automatically reroute you to avoid that traffic. Just like Alexa and Siri, Waze comes with voice activation support called “Talk to Waze” where you can ask Waze for the latest update on a traffic jam on your route or for an estimated time of arrival. You can even use the feature to change destinations. 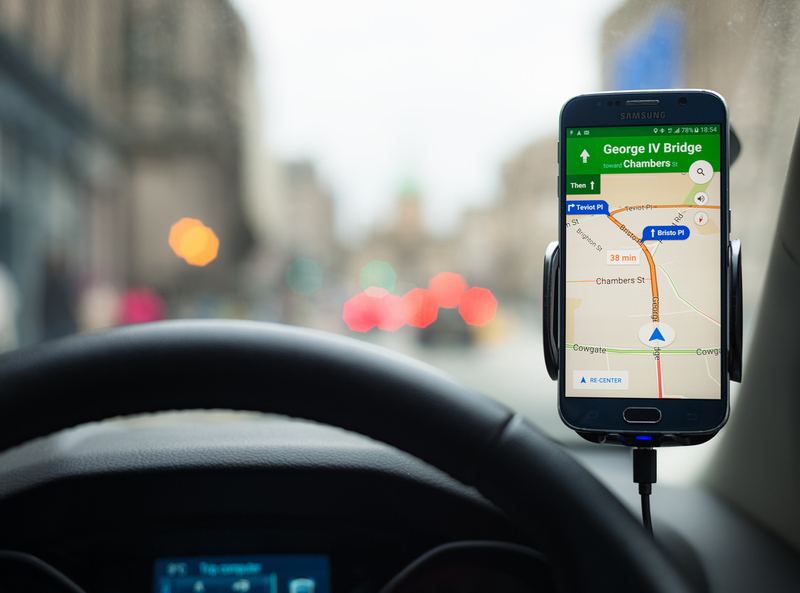 However, just like Google Maps, Waze is not apt if your drivers need to visit multiple locations as it cannot help you figure out which stops your drivers should visit first. 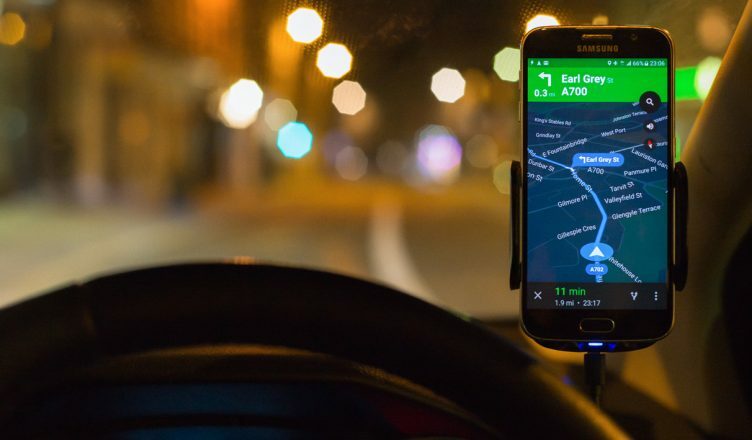 That does not mean you cannot use Waze to get driving directions from one place to another; instead, you can plan routes with a route planner and then use it along with Waze. Note, not every route planning software offers integration with the Waze app. Luckily, Route4Me does. The Route4Me route planner app integrates with Waze for voice-guided turn-by-turn directions. It also provides written directions within the app. So, you can use Waze within the Route4Me app easily. You can even set Waze as the default navigation app within Route4Me to avoid choosing a preferred navigation option manually every time. If you want accurate driving directions from one place to another for multi-stop routes for multiple drivers then look no further than a route planner app. Such route optimization software can help you plan well-optimized routes with turn-by-turn directions, while factoring in all the constraints, such as weather, traffic, one-ways, avoidance zones, and sunrise/sunset, that can affect your drivers’ routes. In this way, your drivers can reach the destinations on time without any difficulty. Moreover, it takes just 30 seconds to plan the routes. Imagine how much time you could save which you can instead invest in growing your business. Vehicle tracking – Helps you monitor your drivers and vehicles in real time so you can ensure they follow the routes provided and offer roadside assistance immediately whenever needed. Speed alert – Notifies you as soon as a driver crosses the speed limit. Customer portal – Helps your customers track the status of the inbound visits. Customer alerting and notifications – Helps you notify a customer via email whenever the driver is close to the customer’s location. Electronic signature capture – Allows your drivers to capture customer signatures on their mobile devices within the Route4Me app. Reporting and analytics – Provides you with data, such as fuel costs, distance traveled, total stops made, and routes completed, to help you identify the areas that need improvement. 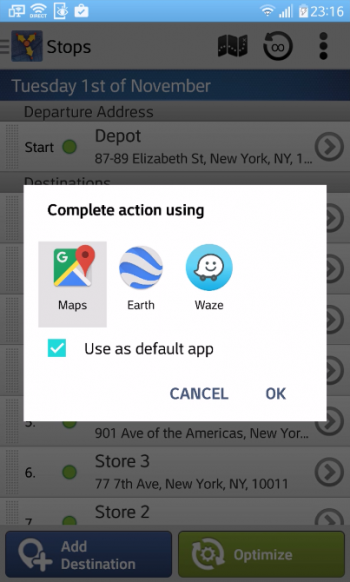 Geofencing – Automates the check-in and check-out process for your drivers. Territory optimizer – Helps you segment your team into different regions so that each field rep can make a series of stops that are relatively close together and so visit more clients in less time. Telematics gateway – Provides you with the ability to integrate a GPS tracker with leading telematics vendors so that you can track your existing vehicles on a map in the route planner. The route planner will also automatically send and synchronize your routes with every connected vendor in your account. Plus, the system will automatically analyze and archive all the GPS data received from your connected account. Dynamic stop insertion – Helps you find the best spot for a new stop on your route so that you will be able to get as much value out of your resources as possible. 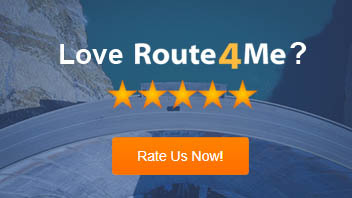 There are many other features offered by route planners. But, check with the routing optimization software provider to understand each feature offered and how it can benefit your business. Here is an article that will help you identify the right route planner for you. So, how do you ensure what is the fastest route home? How do your drivers get accurate driving directions from one location to another? Do you have any questions? Please feel free to leave your comments below. Why is Google Maps not ideal when you have multiple drivers and multi-stop routes? How can you use Waze with a route planner app? How can route optimization software help you provide accurate driving directions from one place to another?